On the Lust-have List ❤ Summer Sunnies! 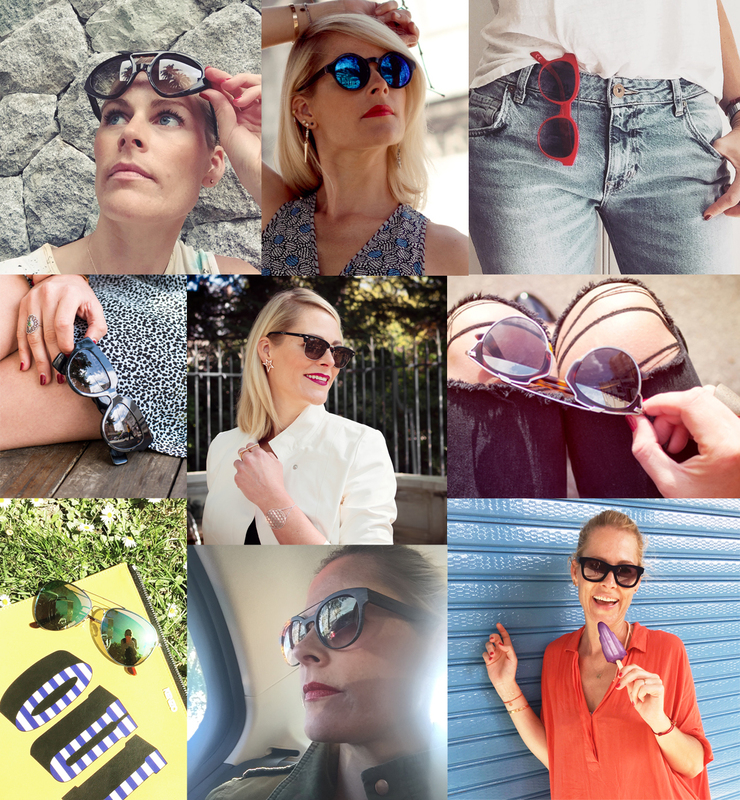 The sun is out and I need a large sunglass draw – one that opens up and displays all your sunglasses neatly in rows, so that I’d be able to clearly see which ones I should be wearing with each day’s outfit! Instead, my sunnies are dropped into their boxes and dumped in a draw with a whole lot of other accessories that I have to riffle through to find the pair that I want! All those dreams of my perfect wardrobe, sigh. It doesn’t take too much to zing up a seemingly bland outfit, and yes, I definitely have many of these days. I like to jazz it up with a pair of sunglasses (in fact I’m a sucker for a new pair!). Sunglasses + an accessory or two + a favourite handbag et voila can anyone say celebrity style?! Have a little fun with this season’s shapes and colours, most of the season’s shapes will transport you to decades past (think 50’s, 60’s, 70’s and 80’s … Bet you’ll have pics of your mom in the same shades!) and is sure to make you feel ‘high-fashion’ even in your regular denims and Tee! (Also, be sure to click on the highlighted links which will take you to some of my looks with this season’s sunglass shapes). Mirrored lenses to get your 80’s Miami Vice on – perfect for a check-me-back selfie! I’m sure Posh will agree with her first Victoria Beckham aviator collection, or get yourself the shape-of-the-season, SoReal from Dior as seen on almost every fashionista! Retro bug-eye 70’s flashback anyone? Get the look with big round shapes as seen at Saint Laurent Paris and Miu Miu, or choose the more rebellious Chloe’s with a slight hexagonal frame. Rimless, semi-rimless or cut-off sunglasses are also an option and I personally love them especially Mui Mui’s black framed ones. The Cat-eye frame. Born out of the 50’s and 60’s when they were teamed with the Beehive – at least we won’t have to spend too long in the hair department to feel a little retro. Over-sized, why not feel like a celeb for a day or two hiding from the paparazzi? Best done with Valentino’s Mask-aviator shades, I love the gradient lenses that soften the look too. Bling it up with embellished flowers seen at Dolce & Gabbana, add an Aperol Spritz and you’ll feel like you’re on the Italian Riviera! Fendi’s Iridia graphic frame with their embellished tips and Cat-eye shape is the perfect mix of modern and retro and they come in loads of different combinations. Have fun and good luck choosing!